After confirmation, people can take Holy Communion in the Lutheran church. Lutherans consider confirmation to be one of the most significant events in a young person's life, much like baptism is for an infant. After confirmation, a person is able to participate in Holy communion. Much preparation and studying goes into being ready to be confirmed and most children are confirmed during the junior high years, with study starting in elementary school. 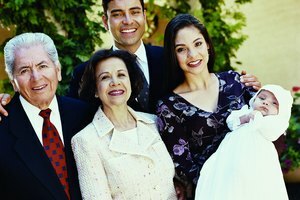 However, adults who want to be confirmed in the Lutheran faith can also take the classes. 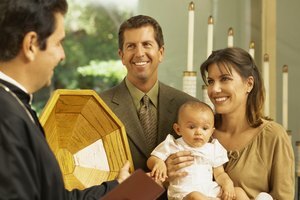 Traditionally, gifts are given at confirmation, but some are specific to the Lutheran faith and hold true meaning to the confirmand. When a person is confirmed in the Lutheran faith, generally during the pre-teen to early teen years, he is able to publicly profess his beliefs and faith before other members of the church. 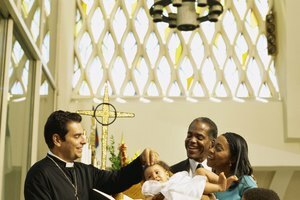 The rite is similar to baptism, but gives the person a chance to commit to the Lutheran faith on his own since Lutherans are generally baptized as infants. Since many years of study are required to become confirmed, it is appropriate to recognize this achievement with a gift, usually a religiously themed one. A Bible is a good choice for a confirmand. However, chances are, he already has a Bible after his years of study to get to confirmation. Choose a personalized Bible with his name stenciled or engraved on the front cover, along with the date of his confirmation. The Lutheran faith also has a Lutheran study Bible, which is a good way for the confirmand to continue his studies. Lutheran history books are another meaningful gift. Jewelry is another good choice and many options are available for both males and females. 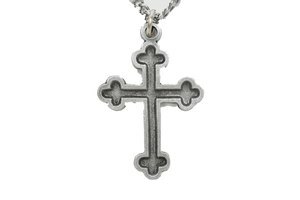 A simple cross necklace is a classic choice. Religious watches, keychains or keepsake medals are other options. A nicely framed photo of the confirmand, matted with his confirmation verse is another personalized option that holds special meaning. Finding a religion specific confirmation gift might be difficult. Christian bookstores are a local choice, but many online sources are a good bet. Some Lutheran churches sell their own set of gifts, including those for a confirmation. Generally, you'll be able to find devotional books, Bibles, cross jewelry, prayer books and inspirational wall hangings or tabletop decorations. Institutions like the Evangelical Lutheran Church of America also sometimes sell gifts for important Lutheran events. While the Lutheran faith is a Christian one, it differs from other Christian religions. For example, the common beliefs are the same, but the Lutheran confirmation customs vary greatly from the Catholic church. 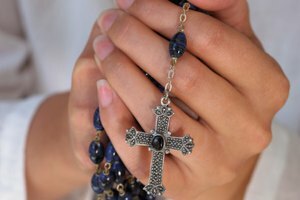 Catholics are often confirmed at a younger age and some of their religious icons, such as the rosary, don't appear in the Lutheran church. Many Christian bookstores stock gifts grouped by religion and are good resources for finding the gift you're looking for. Martinez, Eliza. "Confirmation Gifts for Lutherans." Synonym, https://classroom.synonym.com/confirmation-gifts-for-lutherans-12084824.html. 29 September 2017.